Absence of cricket telecast is the worst part of emigration from India. As I write this, Bangalore’s Royal Challengers and Hyderabad’s Deccan Chargers are battling it out in Johannesburg, South Africa, for the Indian Premier League’s final. I missed the live telecast and followed the match and Deccan Chargers’ victory on the internet (The Times of India). I haven’t read too many books on and about cricket. Cricket writing in India has a great tradition, but it is generally limited to the newspapers. I had the privilege of working with the legendary K. N. Prabhu, the eminent cricket journalist from The Times of India. Prabhu worked at The Daily for a brief period, when I was a reporter at the tabloid. (Note: I was a reporter circa late Cretaceous era). Prabhu's fluid and carefree style of writing was carefully cultivated. A senior journalist at the newspaper was assigned to cover Raj Kapoor’s funeral. He began his report with, “As the maudlin sun turned ochre...” Prabhu walked over to the reporting section and politely told the reporter to stick to the facts. Think of the reader; don’t think as a writer, he’d tell us. Among the more contemporary writers, Ayaz Memon is perhaps the best. Here’s his selection of the best cricket books he’s read. The one cricket book that stays etched in my mind is Ashish Nandy’s The Tao of Cricket. 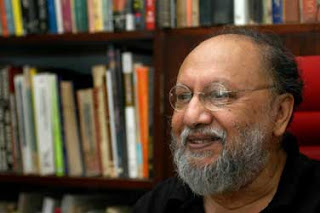 Nandy, a free thinker, wrote the book in 1989. It’s an original interpretation of the game of cricket in the Indian context. The book gained popularity and acclaim because Nandy claimed – tongue firmly in cheek – that cricket was actually an Indian game accidentally discovered by the English. 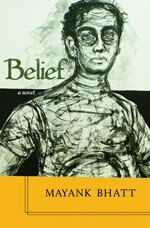 The book was equally an examination of the process of modernization of the Indian society in the post-colonial period. Nandy never intended the book to be merely about cricket and perhaps wasn’t too happy that it was cricket that made it popular. Explaining this strange phenomenon, he’s observed, “Precisely because its political analysis is unacceptable and painful The Tao of Cricket over the years has been read more as a cultural history of cricket than as a deviant political psychology of popular culture.” (Quote from India Club website). A review of the book published in The Hindu is also interesting. Once while visiting Strand with an editor of a prominent Marathi daily, I spoke to him about Nandy’s book. The person sitting behind the cash table – perhaps the late Shanbag’s son or some other relative – immediately named the book and Nandy, the year of publication, and the publisher. Now, here was a book shop owner who knew books. He didn’t have to run to the nearest computer to check the name of the book and the last name of the author to provide more information to the interested reader. Unfortunately, old bookshops with their ethos will not survive. Not in Mumbai, not in Toronto. Walking along Spadina Avenue last week, I came across a bookshop that apparently was going out of business and I bought Joseph Conrad’s three novels in one volume for just $2. you start with ipl, move on to sports writing in India, add a line about an editor, then few lines about a cricket book, it's author and author's short interpretation of book, then to a completely different topic of strand and issue of old style bookstores. And it is not a long article. Still this post looks coherent and structured. Very nice. I hope I shall be able to write like this.